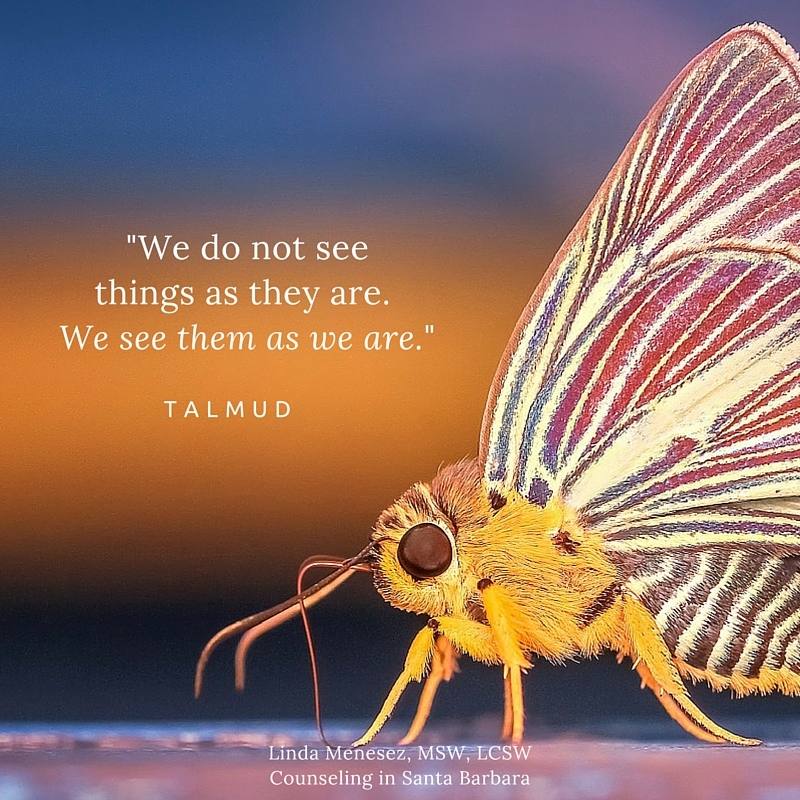 This quote, found in the Talmud, helps us understand that there can be many different realities. Each person views what is happening through their own unique perception, which is molded by all of their previous life experiences. It’s almost like wearing different tinted sunglasses. For someone wearing sunglasses with a blue tint, things will have a bluish tint. If another person has yellow tinted lenses, things will have a yellowish tint. I’ll give you an example. Think of a person who has always had abundant wealth. If someone hands them a $100 bill, that money will be seen from a very different perspective than it would be by someone who has been extremely poor throughout life. It’s the same amount of money, but the way it’s perceived would undoubtedly be quite different. Here’s another example. If someone had been always been treated unkindly, with lots of physical and emotional abuse, there would be an expectation, or fear, that more hurts would surely be coming. For this person, a co-worker offering assistance with a project, might elicit an internal, immediate reaction of concern, caution, and even distrust. Another person who has grown up in a safe world, and always been treated with gentleness, consideration, and patience, would have different expectations. That person would tend to quickly view the offer with appreciation and comfort. Same offer, but different perceptions! If we could remember that there are very good reasons why people have different views of reality, we could avoid a lot of conflict.